New to this forum, I did a search on the above but was not able to find much on it. 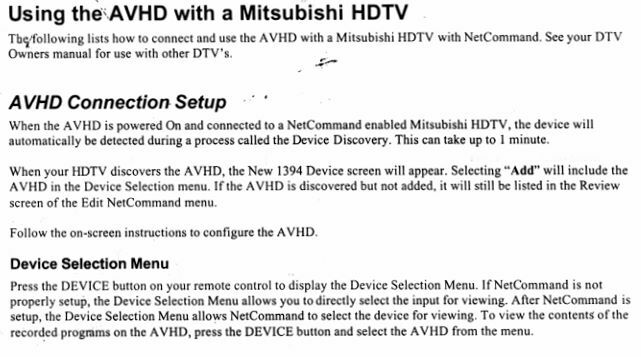 I know my Mitsubishi dealer uses one to show the 1080p demo loop on his new TV's. He received this from Mitsubishi. I was able to borrow one and it worked great on my set. I have a copy of the manual and pictures of it inside and out if anyone is interested. I was hoping someone else might have one and could tell how well it works for recording? The AVHD Powered by Indigita is a custom digital PVR/DVR solution for consumer electronics (CE) and set-top box (STB) original equipment manufacturers (OEMs). I saw a Mitsubishi 1080p set at Fry's in LA last week showing 1080p material. I had wondered what they were using as the rest of the sets were on HDNET via Dish, but I did not follow the wires as I didn't have the time. After your research, I am sure that is what they must have been using. Fry's in Sunnyvale are most certainly using one of these on their Mitsi display. 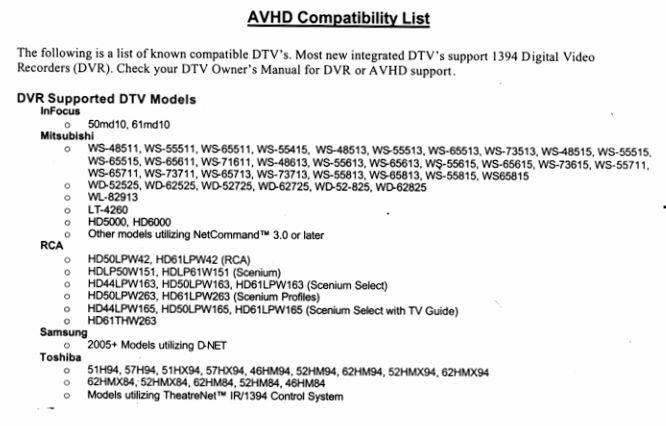 The Samsung 1080p DLP TVs are using a Samsung AVDisk, so that one might be easy to get hold of...??? You're absolutely right, it makes it sound like they are just for OEM, but a fellow poster on the Mits forum, states that he has bought a couple of them, and has also given me the contact name and number, I plan on contacting the person tomorrow and get the specifics. 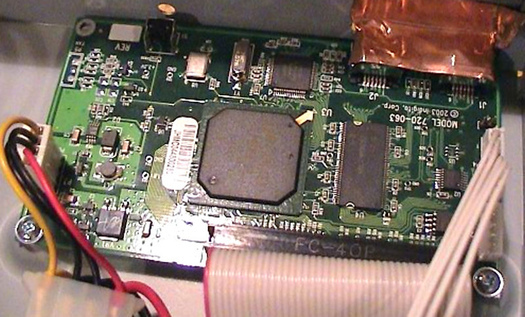 Originally Posted by Kipp K.
This thing looks similar to Toshiba Symbio AVHDD. 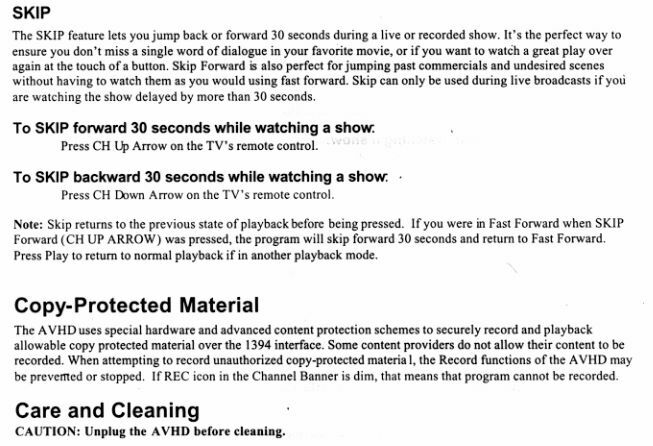 Toshiba states that it only works with their TV's but it is not true. 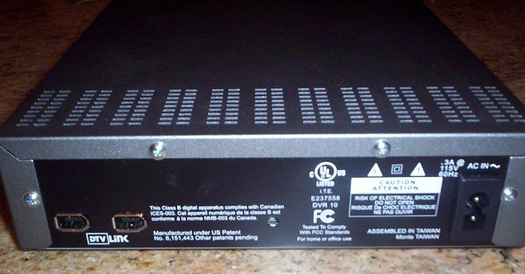 It works with most firewire equiped TV's that have AV control. Do you have one?? If you are not using it on a Toshiba, what are you using it on? 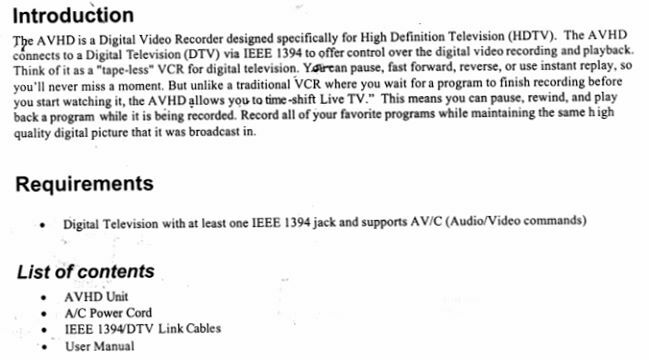 The RCA DVR10 is the same thing... Find one on ebay. Just got an RCA DVR10, but it's a demo unit..I'll have to see if it has "special" firmware that only let's it play and not record..also want to see what my XP pc "sees" when I connect it up. Also interested in what kipp finds.. I did get a hold of Chris at Indigita, he was able to give me some more info as well as an email address, so I can ask some more questions. 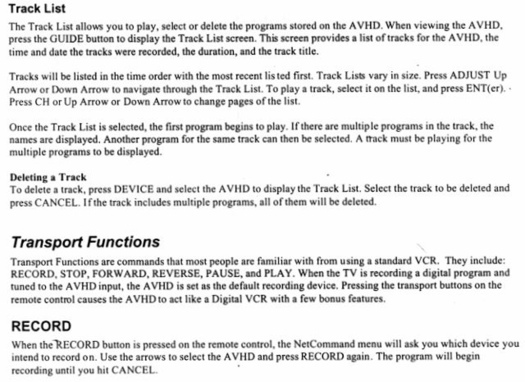 It does support 4 streams of video, so you can be recording one thing, watching something else on one TV, and then another, etc. 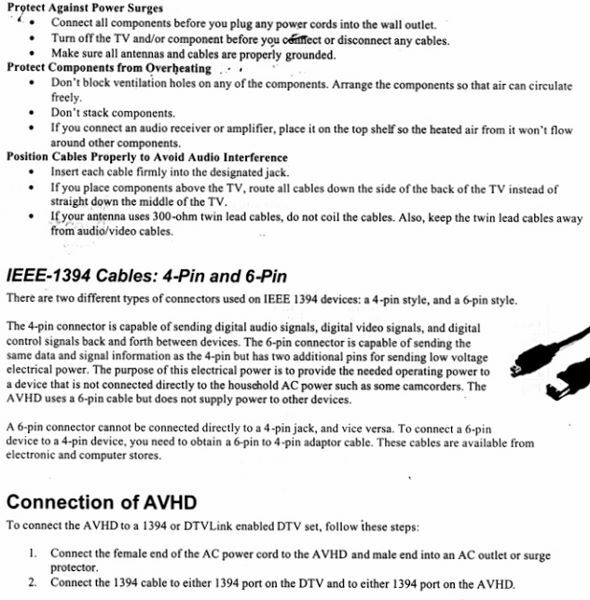 I have scanned a copy of the manual, and have screenshots of the unit, inside and out. What's the difference between that and a RCA DVR2160? off a firewire equipped Scientific Atlantic 3250hd. 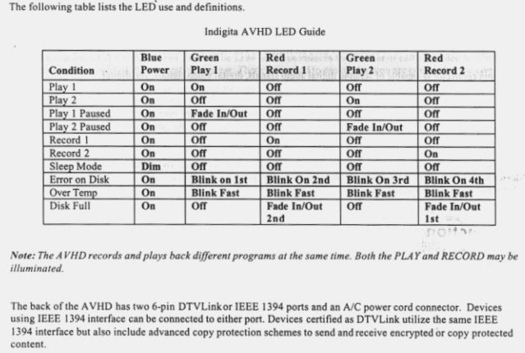 I can get a Indigita for fairly cheap, its one of the Mits dealerships units with only a 40 Gb hardrive, but if I can't hook it up to my computer, then I really don't have anyway to put 1080p source on it...this is what I would like to do and then feed it into my 1080p mits TV. 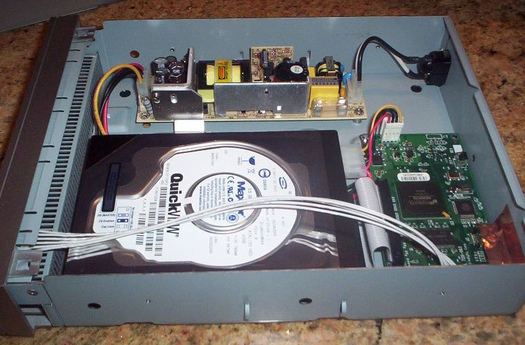 I was also wondering if I put a larger hard drive in it, if it would reformat the drive correctly and still work. 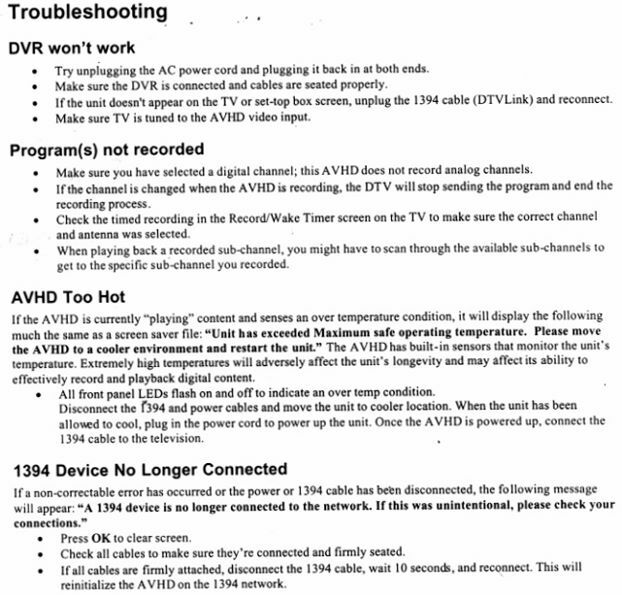 I have teh same questions..need to play with the DVR10 the next day or so.. This thing looks similar to Toshiba Symbio AVHDD. I was going to start another thread on this, but I will continue what was started. I have come across some interesting info on this. 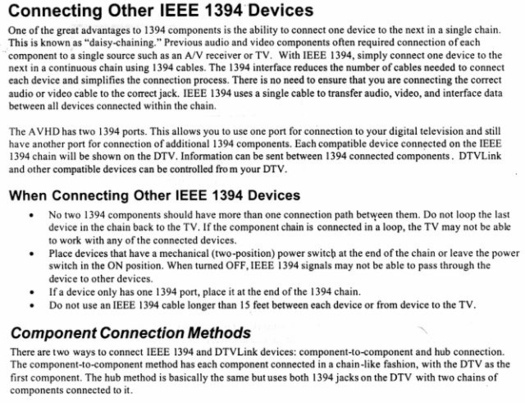 The few posts are pages from the users manual. 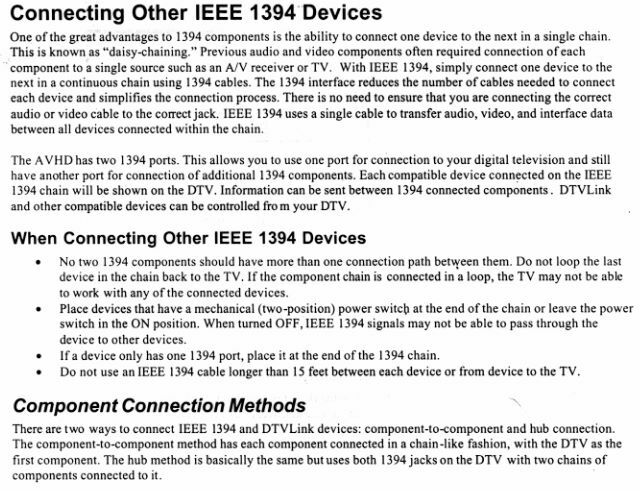 If the Toshiba Symbio can be used with other tv then that unit to me sounds like a better deal. 160G Hard drive for $250.00. F room: Jvc70FH96/8300HDPvr & Dish 811, Bed.room Toshiba 50HM66, & Sa3250, Study LG42PX4D & XBox360: Kids tv: Toshiba 50H81, LG4200a, XBox 360, CM4228, 9521rotor, & 7775 preamp. Thanks for posting the link on th Toshiba forum. 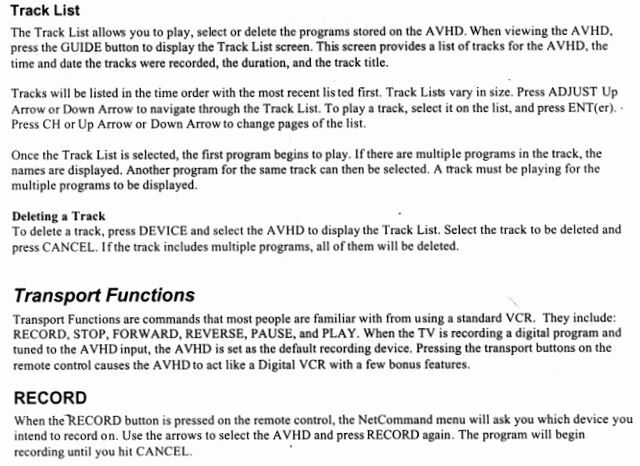 This device looks cool and I have seen the 1080p content at my local AV shop playing on the Mits. 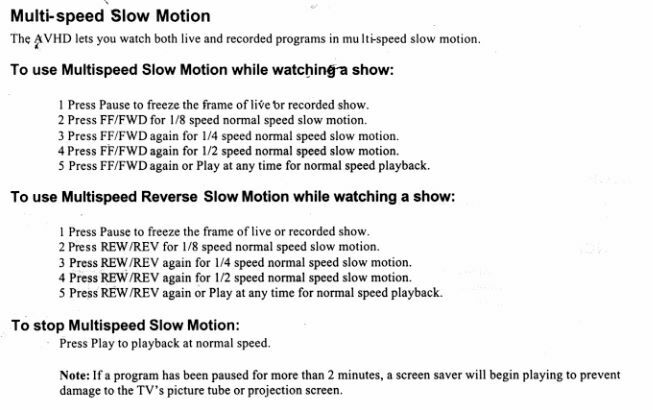 So I guess it is true that 1080p can be played on most new DLP's but the question is how do you get it on there? There has to be a way if it got on their in the first place. I wonder if it's on the actual HD or maybe could it be in the firmware??? Regarding the Toshiba product; will this also play 1080p content? I'll contact them to find out. Brue, how do you easily get the cover off..what model hard drive do you have in there..?? Those prices that Kipp received are way out of line. 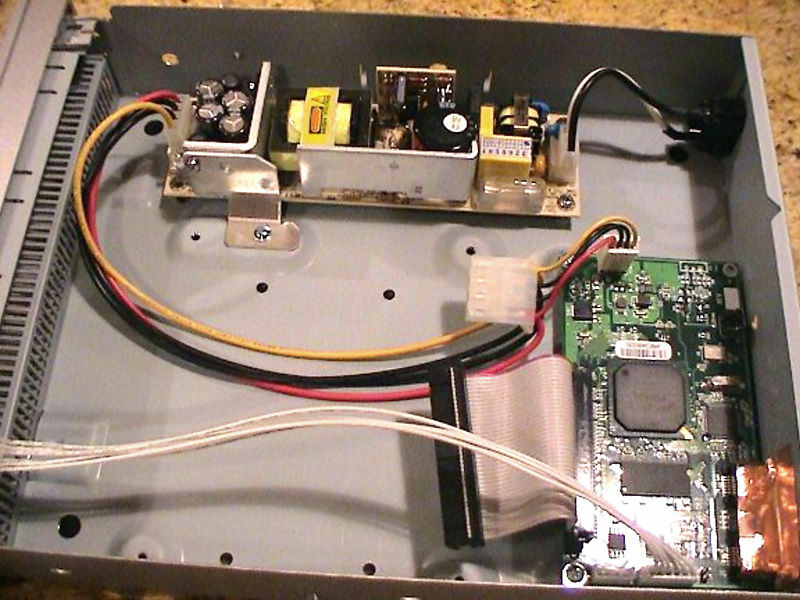 Give me a bare chassis and I will supply the drive. What we need is someone with that device to open it up and take a pic of the chipset to see who makes it. I don't have this. It appears just screws on the rear panel. that if I can get the cover off.. Try lifting up from the rear. it has 6 hours and 35 minutes stored. if I schedule a record, it will go into record for about 30 seconds and then drop out. Off to play more now..
Now the mits won't even see the dvr10..me thinks the mits needs a powercycle.. If were a consumer who had spent his own money, rather than an engineer who was seeing how well this works, I'd be highly annoyed about now..
Cover had adhesive putty sticking cover to hard drive mount..this one is internally different from the pictures..drive is maxtor diamondmax16.. 80 gb ata133..
Thats a lot. Glad I got one of these when they were $126 shipped on Nov 8th. 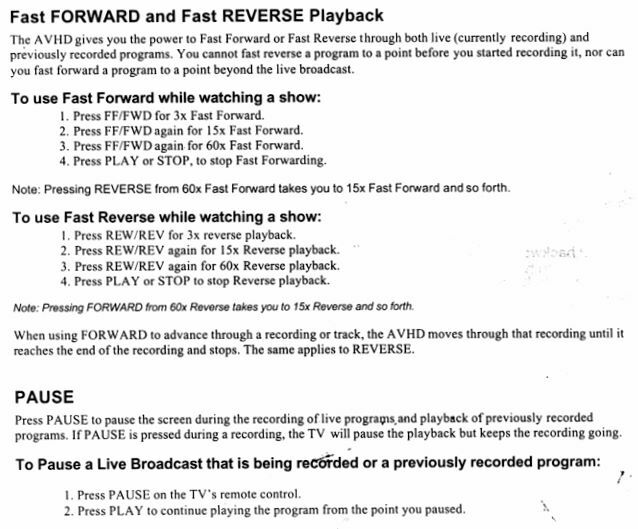 Anyone know how to hook up a Dvr2160 so I can send the recorded shows to my computer? Also, how do I install a larger HDD into a Dvr2160?